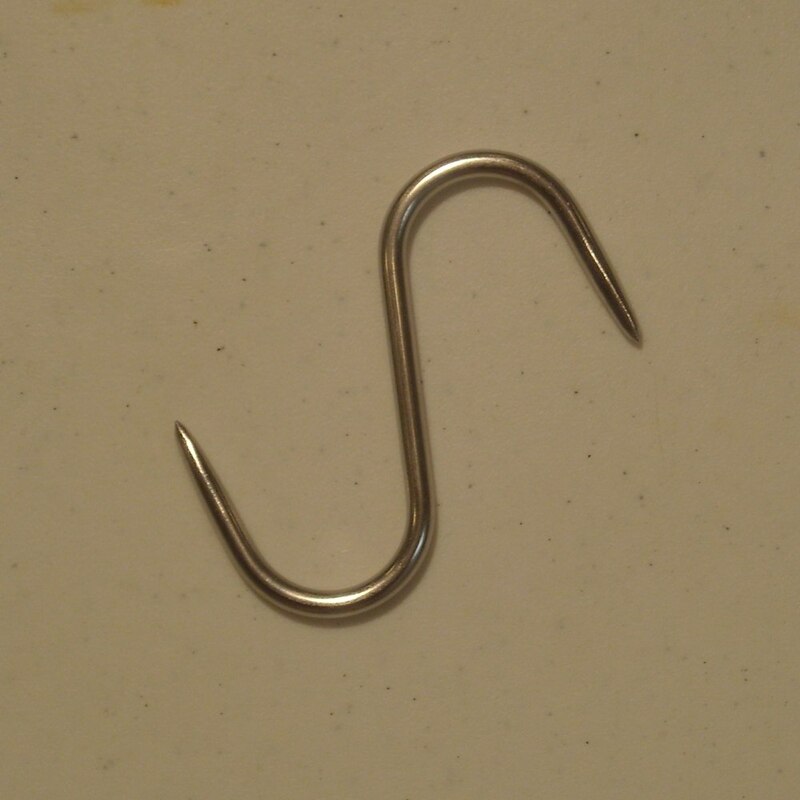 Stainless steel "S" hook has sharp point on both ends. 1/4 inch diameter x 4 inches long. Made in USA.